At Getec, because we also deliver custom heat pipe bending services, we use a 20” extrusion press, which is pretty unusual. But sometimes a 20” heat sink is not large enough for what you need it for. This is not a problem for us here at Getec Industries. 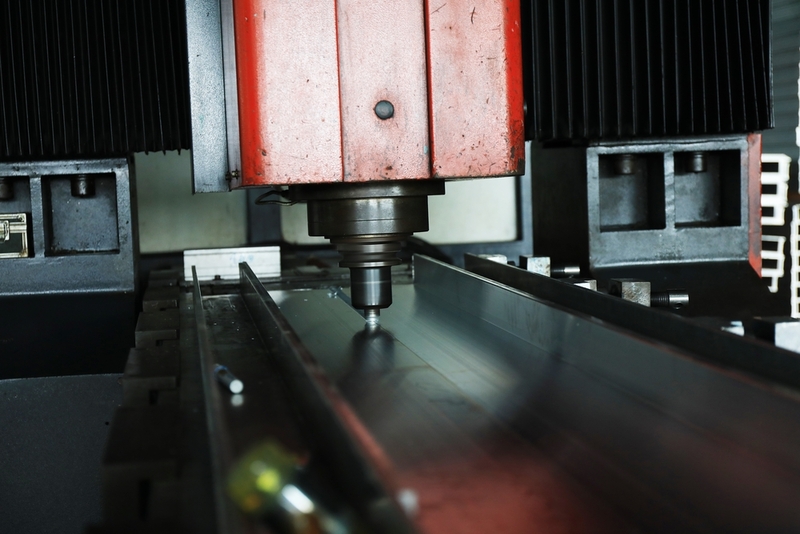 One method of producing larger heat sinks is through friction stir welding. Friction stir welding is a method that has been used for welding aluminum since the mid 1990’s and is superior to the other aluminum welding style commonly used known as fuse welding. Where fuse uses heat to essentially melt the two pieces of aluminum together, friction stir welding joins two surfaces together using a rotating mechanical tool that fuses the surfaces together seamlessly. Friction stir welded heat sink designs as are much stronger than those that use thermal epoxy or require grooves to be carved into the plate for additional aluminum coil to bond fins to plates or two plates together. Because of this, stir welded heat sinks have better heat efficiency, allowing them to dissipate more heat using the same heat sink size. This is critical for heat dissipation in smaller, power-hungry electronic devices and LED thermal management. Joints that are flush with the surface and sealed, making them non-porous and impermeable. Allows heat sink designs with very high aspect ratios, sometimes greater than 40:1. Easy to repeat heat sink designs – Because of the quality and consistency of the extruded heat sinks, the stir welding process is easy to repeat, keeping the quality of the joined heat sinks consistent and predictable. Our friction stir welded heat sink designs are better than those delivered by our competition because of the quality of aluminum billet we use for our extruded aluminum heat sinks. We use premium aluminum billet for our extruded heat sink designs which create a higher quality product than that from our competition who uses standard, commercial grade aluminum. Higher quality aluminum billet equals higher quality stir welded thermal management solutions. Heat sink designs with better efficiency, higher aspect ratios, and a superior quality result. The combination of our state-of-the-art stir welding technology, premium aluminum billet, and years of heat sink design knowledge will provide you some of the best thermal management solutions available in the market today. Give us a call at 888-000-8499, contact us online, call us at send us an email at sales@getecna.com to speak to a heat sink design expert today.